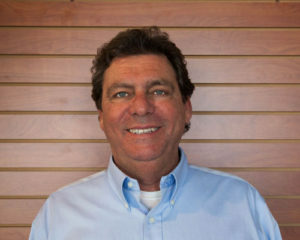 Andrew is a Certified Professional Yacht Broker with 35 years of experience in the marine business. During his 6 years at Selene Seattle, Andrew was the top sales agent on the West Coast for new and brokerage Selene Trawlers. He is now the owner of Ocean Trawler Yachts, where he has developed the innovative and highly effective Yacht Video Marketing Program. Andrew understands that video is the fastest growing sector in online advertising and how to leverage this powerful tool to showcase yachts through the use of multiple media platforms. Andrew was introduced to boating at an early age by his uncle, a shipwright and circumnavigator. 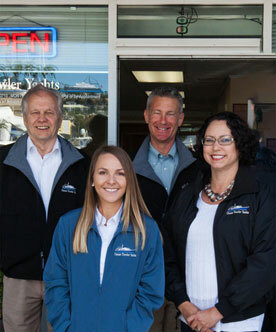 He has been an owner/captain in the commercial fishing industry for more than 15 years, operating in the waters of California, Oregon, Washington and Alaska. More recently Andrew fished in the Bristol Bay, Alaska Salmon Fishery where he owned several boats and permits. He has been a yacht broker for the past 20 years, assisting clients in the sales of power and sailing yachts, while representing Hallberg-Rassy, Pacific Seacraft, Hampton Yachts and Selene. Previously, Andrew worked for West Coast Yachts, Seacraft Yacht Sales, Adventure Yachts and Selene Seattle. 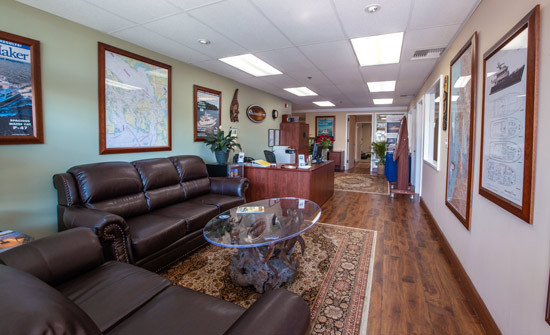 Andrew’s many years of practical experience come from having owned, operated, and personally maintained five pleasure craft and nine commercial vessels over the years. Andrew works diligently to provide a high level of service, cultivating long term relationships with his clients and serving as a continuing resource long after each sale has concluded. 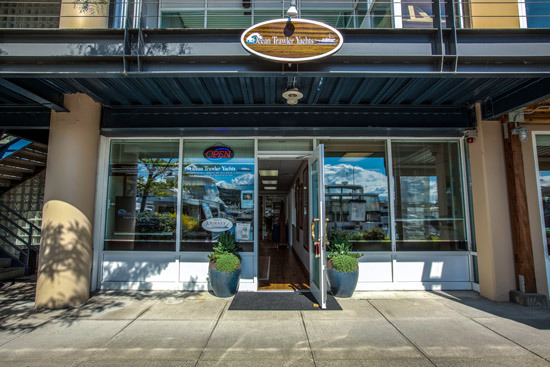 Andrew is a longtime member of Northwest Yacht Brokers Association. Luis has a graduate degree in Business from the University of Southern California and has over 20 years of corporate professional experience including owning a business for fifteen years in sales, services and maintenance. He is a USCG Licensed Master, near and coastal, OUPV with Sailboat and Towing endorsements. Luis is also a Certificated Private Pilot with close to a 1000 logged hours with land and seaplane ratings. As a toddler, Luis cruised the southern coast of Puerto Rico with his family. By his early teens he was skippering the family’s 36’ powerboat learning all about piloting, long cruises, maintenance and repairs. When not aboard his family’s boat, Luis and his brother spent their summers and weekends gunkholing, diving and spear fishing around the islands. His decades of nautical experience include extensive cruising and bareboat charters in the US and British Virgin Islands, the San Juan and Gulf Islands, and the San Francisco Bay area where he lived aboard his 36’ Niagara Nautic. He also did graduate level marine sciences research in the Caribbean, including research trips to nearby locations. He’s been a resident of the Pacific Northwest for 25 years and is still amazed at the beauty and quality of family life this area has to offer. He has owned multiple vessels, both power and sail, and currently cruises out of Anacortes in his Carver powerboat, Green Eyes Too, so he is intimately familiar with boat ownership and maintenance. A self-described handyman and tinkerer, Luis is at ease whether it is repairing and modifying his boats and classic cars, performing FAA approved owner maintenance in his airplane or building out a room in his home. His latest boat projects include a full fuel system overhaul in his Carver and channeling his much younger self by renovating and repowering a vintage 1969 13’ Boston Whaler. Luis clearly understands that selling or buying a boat involves a lot of coordination between the many people involved and is frequently an emotional event for his clients. Recognizing this, his main priority is to help his customers confidently navigate through the process before, during and after the close. Luis’ blend of decades of boat ownership and cruising, professional business background and technical know-how makes him your best advocate in selling or buying your yacht. 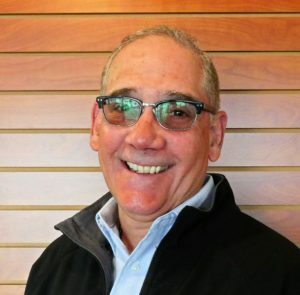 Dan is a Washington native with 36 years in the marine industry and 18 years of expertise in yacht brokerage. Dan grew up with a love for the water and a love of boats. He bought his first vessel, a 14 foot O’Day sail boat, while attending Evergreen State College in Olympia. After completing a degree in Marine Studies with an emphasis on Marine Architecture and Boat Building, Dan relocated to Florida and founded Compass Rose Yacht Service, a full-service maintenance, equipment, delivery and carpentry company. While living in the Sunshine State, he sailed Florida’s east and west coasts and intercoastal waterways, as well as the waters of the Bahamas and the Great Dismal Swamp Canal in Virginia and North Carolina. 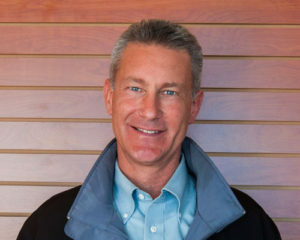 Dan returned to Washington state in 1990, restarted his yacht services company and simultaneously began working for Hannon Marine which specializes in wood boats. In 1996, he helped open a brokerage in Long Beach, California that were dealers for Albin and Tarab yachts. Dan also enjoyed organizing boat shows in San Diego, Newport, Long Beach and Marina Del Ray. In 2003, Dan sailed his 54’ sloop from L.A. to Porta Vallarta, Mexico to meet his wife and 2-year-old son and spent the next year sailing the Mexican coast, Guatemala, and finally El Salvador. 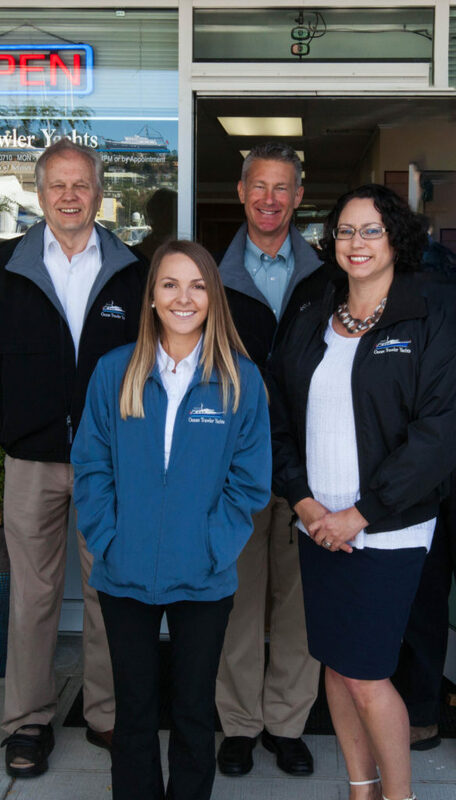 The family returned to Washington to restart Compass Rose Yacht Services and a few years later, Dan returned to the career of yacht broker. Dan’s knowledge, enthusiasm and love for yachts is invaluable to our business and makes him the perfect fit for our team here at Ocean Trawler Yachts.